To make sure that the accurate prices are being shown during checkout, Easyship needs to know the dimensions of your products. 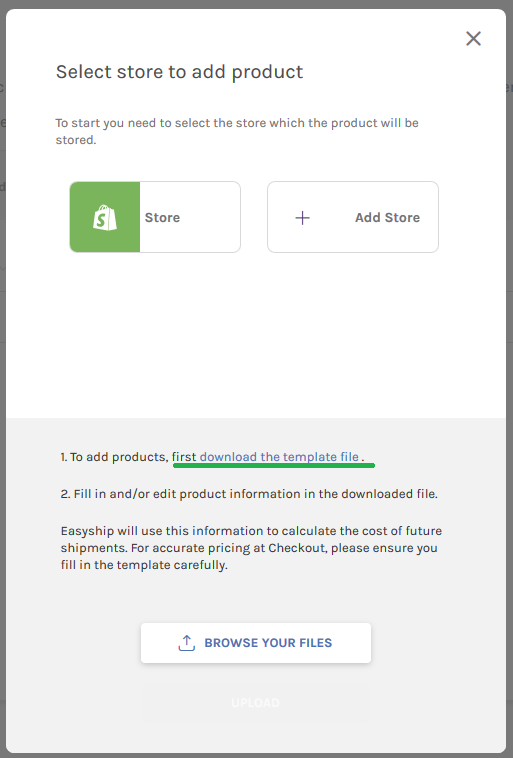 For Easyship to know your exact dimensions, you can upload and save your products information inside the Easyship Products feature. If you have many products, it may be best to upload them by file. To do so, follow the below guide. Click Add Products and Select your store, or add a new one. Fill in the template carefully, paying special attention to the first column, which is the product's unique identifier. 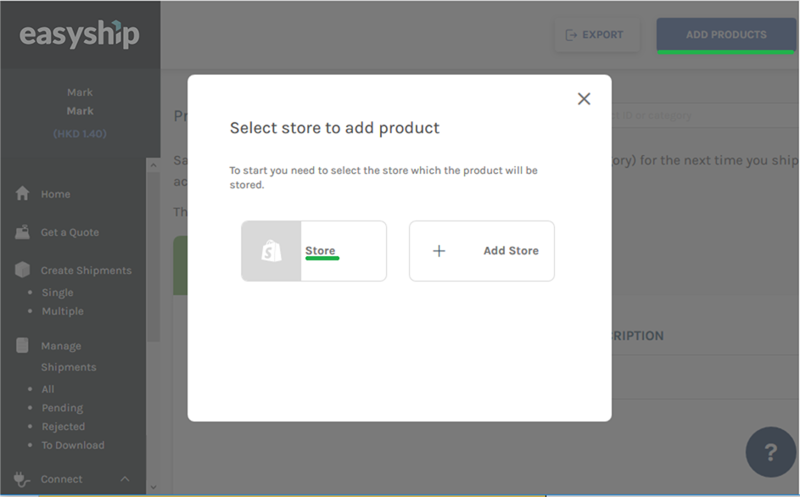 When you're done, upload the template on your Easyship account by clicking on 'Add Products'>'Browse Your Files'>'Upload'. Your products have now been uploaded!